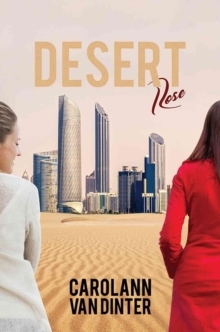 Desert Rose tells the thrilling story of two young women who leave England to take up teaching posts in Abu Dhabi. Each is running away from something. Clare Anderson -beautiful and ambitious but heartbroken after discovering her husband's affair. Melinda Mann - desperate to escape the clutches of monotonous suburbia. Melinda pursues Walid Harid, a multi-millionaire who can offer her the privilege and wealth she has sought for so long. She is unprepared, however, for the savage opposition from his powerful family and their devilish workings behind the scenes to obstruct their relationship. Clare meets James Cameron, an American who has fled to the Middle East to escape his domineering parents. Their love is immediate and passionate, but not without its obstacles. Meanwhile, Sheikh Fariz bin Hani offers her infinite kindness, sensitivity and understanding, but their happiness is marred by the fact that they can never truly be together. The mysterious exoticism of the East, unimagined power and the vast riches of the hot desert sands, change Clare's and Melinda's lives forever in ways that they would never have dreamed possible.